Includes one panel of Diana transformed into a Black Lantern. The issue opens on the planet Ryut of Space Sector 666, the homeworld of the Black Lantern Central Power Battery where we not only see the Guardians of the Blue Lantern Corps, Ganthet and Sayd, but also the heads of the 7 Lantern Corps (Atrocitus, Larfleeze, Saint Walker, Star Sapphire, Green Lantern, Sinestro, and Indigo-1). They find that the Black Lantern Battery is no longer on the planet Ryut. So, in order to find out its location, the Lanterns recite their respective Corps oaths and recharge their rings, except for Larfleeze who does not have an oath for the Orange Lantern Corps. Sinestro asks Larfleeze what he is waiting for, but he tells them that he is hungry again. Atrocitus volunteers to kill him, with Sinestro agreeing with him, but Indigo-1 tells them all that it is because of the orange light of avarice that Larfleeze is hungry all the time, with Atrocitus threatening that if stuffed the Orange Lantern Power Battery down Larfleeze’s throat, then he’d be charged right up. Saint Walker walks up to Larfleeze and forgives him for the Orange Lanterns’ attack on Odym, and that as long as his Blue Lantern Ring is nearby Larfleeze, his hunger will go away. Larfleeze is undoubtedly satisfied with the effect of the blue ring, but wants dessert. Hal then creates a construct of a pair of hands that bring Larfleeze and the Power Battery close enough that it actually charges Larfleeze’s ring to 100,000%. Now that everyone is fully charged (literally in Larfleeze’s case), Hal asks Ganthet and Sayd where the Black Lantern Central Power Battery is. In Coast City, we see in a graveyard that the Black Lantern Central Power Battery was transported from Ryut to Earth. With the Lanterns away, Barry Allen and Wally West are the only heroes alive against the power of Nekron and the Black Lantern Corps. Nekron tells Barry that his death was the first, and his resurrection the last, as Barry charges at Nekron. But, Black Hand stops him and tells him that dying is inevitable because the living aren’t supposed to exist. Barry manages to fight back, and he finds out that Black Hand was the one who dug up Batman’s skull at the beginning of the Blackest Night and tries to take it, but because Barry touched some residue from the black power ring, it registers an emotional tether has been established. Before Barry is destroyed by Black Hand, Wally saves him just in time. 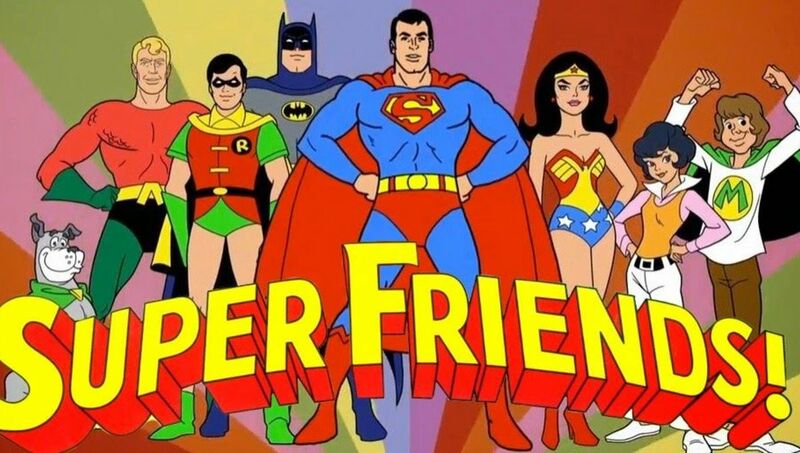 Knowing that the both of them cannot stop Nekron, Black Hand, and the Black Lantern Corps alone, Wally called in the Justice League, and the Teen Titans to help them out. Meanwhile in Manhattan, we see the Atom fighting against Damage of the Justice Society, who was transformed into a Black Lantern, but he is then attacked by his late wife Jean Loring. 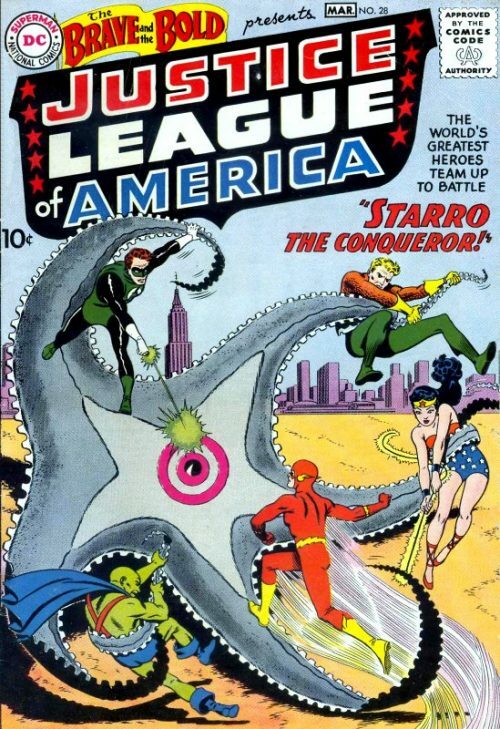 Mera tries to save the Atom by washing Jean down with water, but it doesn’t stop her and she takes Mera and the Atom into Damage’s ring. Back in Coast City, the Justice League and the Teen Titans are fighting off against the Black Lantern Corps. Kid Flashjoins with the other Flashes and tells them the good and bad news. The good news is that for some unknown reason, Dove is tapping into the power of the white light and destroying the Black Lanterns around her. 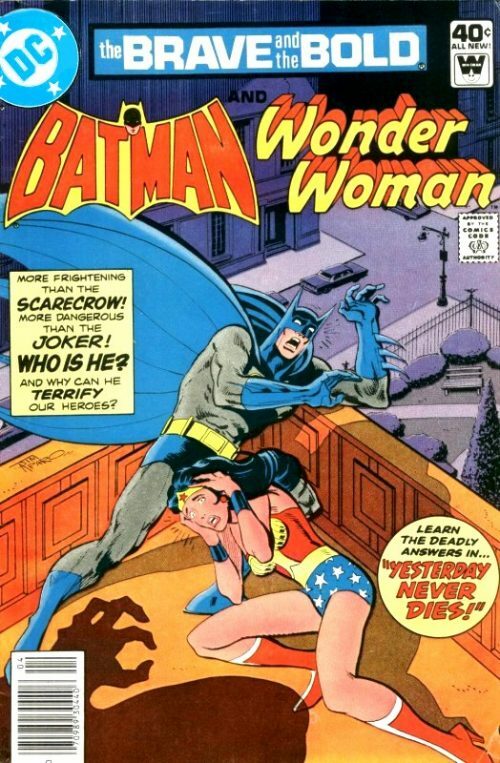 But, the bad news is that Donna Troy was bitten by the Black Lanterns and is getting sick. As they are doing that, they head towards Nekron and the Black Central Power Battery. 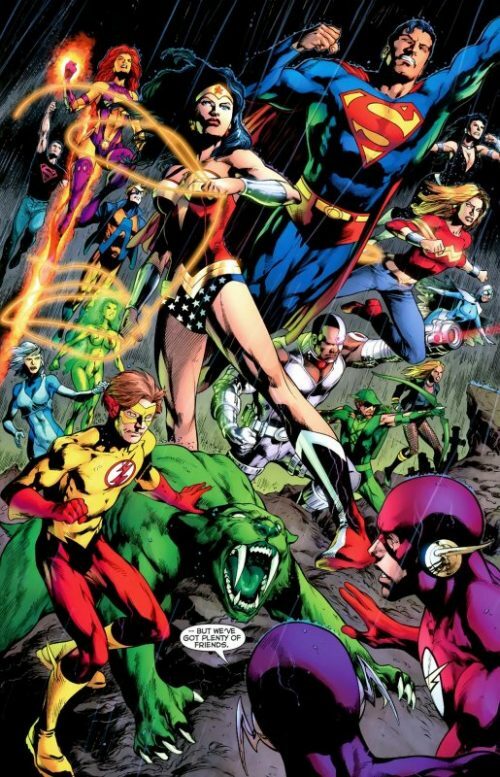 However, they are not trying to go after Nekron, nor the Black Lantern Central Power Battery, they are going after the beings floating in the sky: the Guardians of the Universe. As they try to rip the Guardians out of the slimy black goo, the Scarred Guardian attacks the three Flashes, but she is stopped by the seven Lanterns, who have arrived on Earth, with Sinestro feeling happy at the idea of finally destroying a Guardian. When the seven Lanterns combine their powers, they try to stop her, but she comes out of the blast trying to go after the Lanterns. Larfleeze is particularly interested in gaining his own Guardian, and tries to turn the Scarred Guardian into an Orange Lantern, but she manages to hold Larfleeze back. However, it is only long enough for the other Lanterns to destroy the Guardian once and for all. 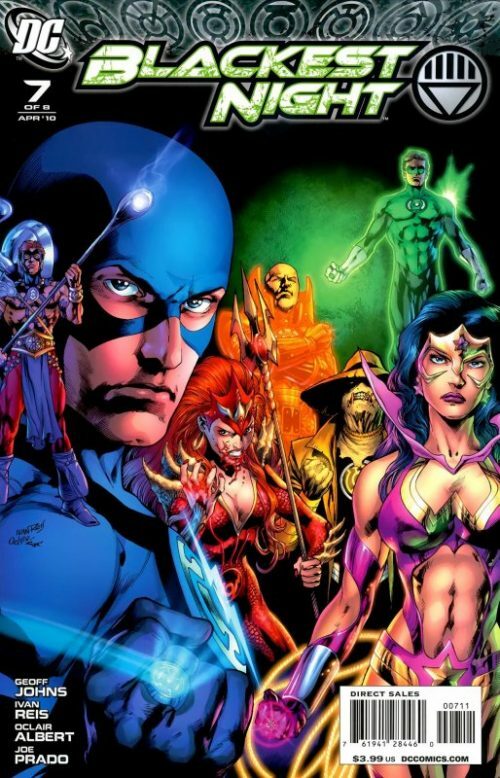 Now that they have destroyed the Guardian, the Lanterns join up with the three Flashes, and they all head to the Black Lantern Central Power Battery. The seven Lanterns combine their power rings to recreate the white light of creation capable of destroying the Black Lantern Corps. 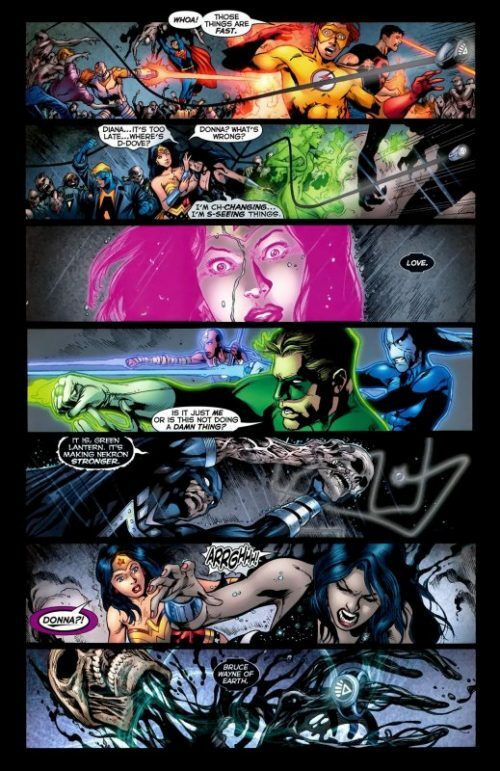 However, it is ineffective, and Nekron unleashes a Black Lantern Ring from the Central Power Battery. 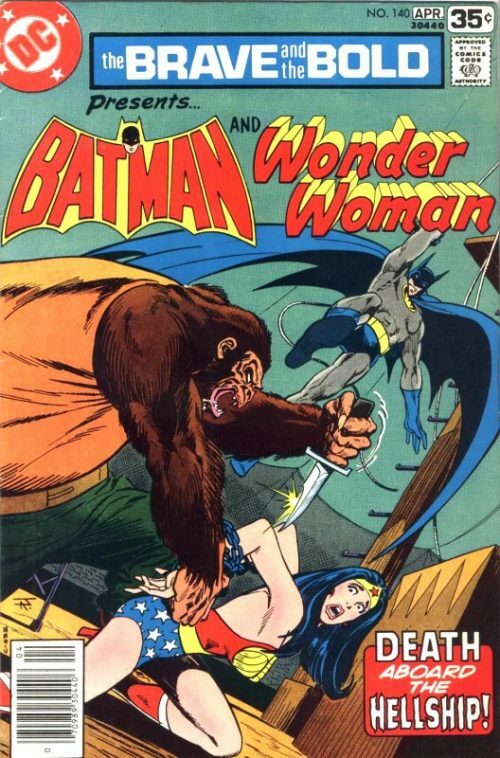 As that’s happening, Donna begins to fall under the influence of the Black Lanterns, and sees Wonder Woman feeling love. 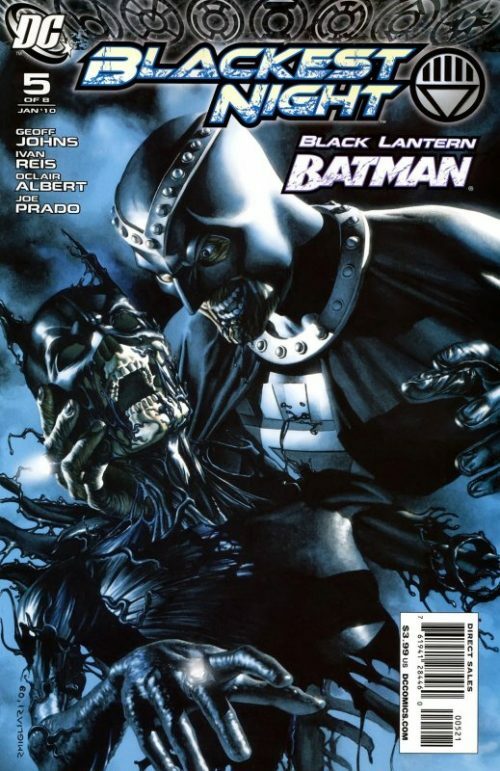 By releasing a Black Lantern Ring from the Black Lantern Central Power Battery, Nekron resurrects Batman who spits out Black Lantern Rings while Nekron explains that he was behind every resurrection and they are all still connected to him. 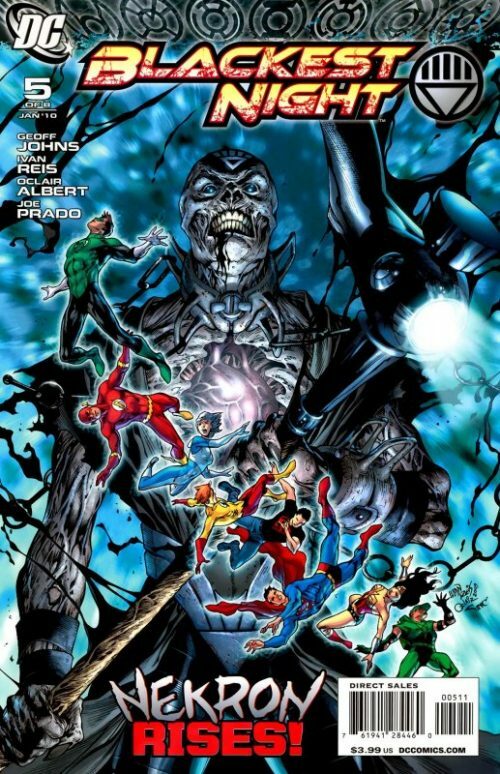 Superman, Kid Flash, Superboy, Wonder Woman, Green Arrow, Animal Man, and Ice are transformed into Black Lantern’s with Barry and Hal fighting away the rings.